When we mention Wi-Fi Safety, we are not talking about getting your credit card or personal information stolen, instead we are concerned about the radiation from Wireless networking and its effects on the human body. People have questioned whether there are negative health effects with electric and magnetic fields found wherever you have electric power, especially near power lines. The World Health Organization (WHO) has page that addresses this concern. Some researchers believe that there maybe a health risk from exposure to EMF and suggest further investigation. Some articles have suggested connections between headaches, leukemia, and other disorders with living near power lines. Electrical appliances such as microwave ovens, hair dryers, electric ranges, and even televisions also give off magnetic fields. Ongoing studies are needed to confirm or deny these anecdotes. In May 2011, after reviewing a large amount of research, the WHO classified EMF radiation, such as that emitted by wireless routers, as a “possible carcinogen to humans (Group 2B)”. EMF is usually referred to as extreme low frequency 60-Hertz electric and magnetic fields associated with electric power. This is in contrast to radio frequency (RF) radiation associated with wireless communications and networks. The California Public Utilities Commission has suggested actions regarding electro magnetic fields. Architecture of Radio is making an iPad app that visually shows what wireless signals are around us. On May 21, 2007 a Welsh radiation expert warned that wireless networks were not to be used until its science is proven. From this warning, conspiracy theorists and others have started worrying about Wi-Fi. People living near power lines have complained about health issues such as lack of energy, naseau, and various diseases. Brain tumors, leukemia, birth defects, miscarriages, chronic fatigue, headaches, cataracts, heart problems, stress. nausea, chest pain, forgetfulness, cancer. Can Wi-Fi do the same thing? In 2015 a Family sued Fay School in Southboro, Massachusetts claiming that their Wi-Fi signal caused a boy to get sick. Their child suffers from Electromagnetic Hypersensitivity Syndrome and got headaches, nosebleeds, nausea, and other symptoms while sitting in class after the school installed a new, more powerful Wi-Fi network in 2013. The parent of a student at Mount Tabor Middle School has sued the Portland Public School district, claiming that its use of Wi-Fi is “genotoxic, carcinogenic, neurotoxic and otherwise…harmful” to his child. 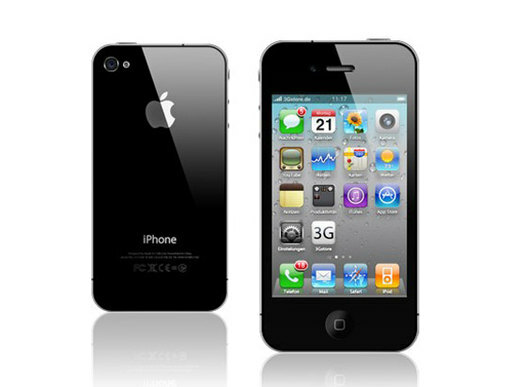 In 2010 a Santa Fe, N.M. man sued his neighbor over her use of an iPhone, claiming it interfered with his digestion! Perhaps they should ban Wi-Fi and Cell phones from schools. EMFacts has a nice flyer with health tips concerning Wireless networks or Wi-fi. With the advents of Wi-fi, Cell phone signals, Alarm systems, Wireless utility meters, consumers are getting bombarded with more and more radiation. Limit children’s exposure to cell phones and TV. A recent news report about some parents in Canada are blaming their children’s illnesses on the wireless Internet routers installed in their schools, is adding fuel to the debate. As if Wi-Fi radiation wasn’t bad enough..
Archives of Internal Medicine had an article that outlines the risks of having CT Scans done. CT Scans have become routine and with that an increased prescription of them has arisen. They reason that 15,000 people may die as a direct result of CT scans ordered in 2007 alone. If your doctors orders a CT Scan be sure to discuss the benefits, risks carefully.